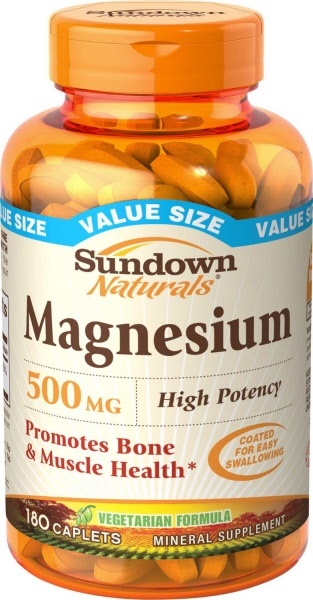 A natural source of the essential mineral magnesium, which has been shown to be critical for proper blood pressure control, preventing various muscle cramps, and many other functions. Magnesium is a mineral that plays a major role in healthy circulation, healthy regulation of heart beat and artery health. 70% of Americans and Europeans are magnesium deficient and this may reflect the higher incidence of heart disease in these populations. Magnesium plays an essential role in the metabolism and synthesis of Vitamin D and contributes to the serum levels of Vitamin D.
Higher intake of supplemental Magnesium helps prevent Vitamin D deficiency, and lower levels of Vitamin D are associated with a higher risk of cardiovascular disease. Our magnesium product provides 500 mg of Magnesium oxide, a highly absorbed form of magnesium, in a gentle, easily tolerated form.